From Bremen, Germany, nine young students have come to St. Louis, following the route of the Giessen Emigration Society just as the Exhibition Utopia-Revisiting a German State in America has done. They are sponsored by Kultur vor Ort in Bremen, being hosted by the St. Louis -Stuttgart Int’l families, and they are here to meet the Teens Make History at the Missouri History Museum. Join us and meet these young people as they perform, on Saturday, February 21 at 2:30 pm in the Utopia Gallery at the Missouri History Museum in St. Louis. Everyone is invited to join us and meet the Tandem Guides. 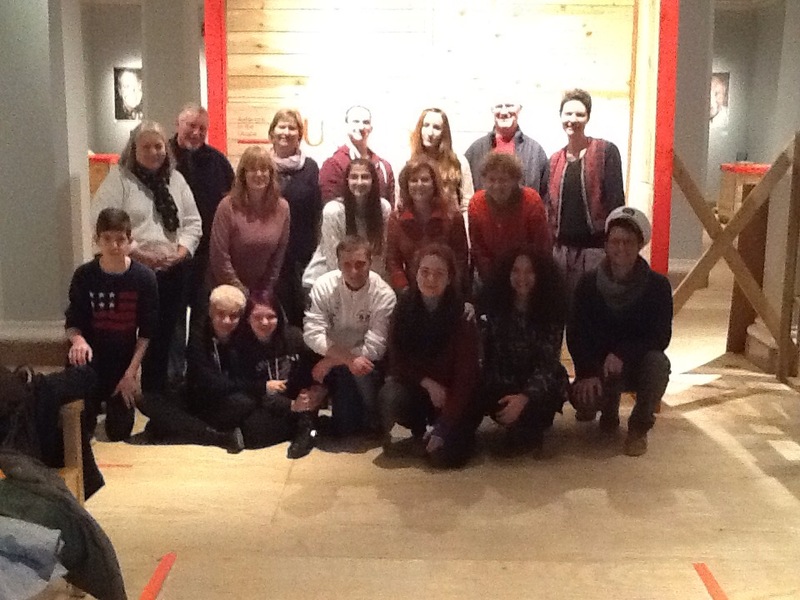 The photo below is with their host families during their visit.